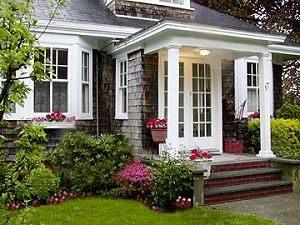 The Boulevard Bed & Breakfast is a Victorian home, with all the charm of yesteryear, located just outside downtown Newport, close to Newport and Middletown's Sachuest and Easton Beaches. Decorated with antiques throughout, The Boulevard offers four well-appointed guestrooms designed with your comfort and convenience in mind. Located in a quiet neighborhood and yet close to all that Middletown and Newport have to offer, our B&B is the perfect summer retreat. We can easily accommodate up to eight guests. The yard and outdoor deck are perfect for relaxing or entertaining guests. Let us help make your visit a memory to cherish. Rhode Island is located in the southeastern corner of New England within easy traveling distance of several major northeast cities. We're just 60 miles from Boston, Massachusetts, 180 miles from New York City and under 350 miles from Montreal, Canada. And because Rhode Island itself is only 48 miles long by 37 miles wide, it's easy to get from one attraction to another. Which means you can do more on your vacation. Middletown, founded in 1743, is located on historic Aquidneck Island, between the communities of Newport and Portsmouth; hence, the name Middletown. Middletown's excellent highways and bridges place the community in a favorable location, and it is easily accessible from nearby Massachusetts and local Rhode Island municipalities. Middletown is semi-agricultural with a diverse landscape, delicate sand dunes broken up by a partially rocky coastline, and snow white beaches giving this community a seaside flair. Endless stone walls line the landscape contributing to the atmosphere of the town which is typically New England. This and other Newport Bed and Breakfast Inns can be found here online in The Register.